Give the gift of Fan Food. 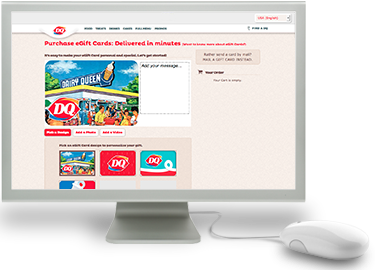 Your recipient receives a beautiful, full-color, personalized eGift Card that can be redeemed at any participating DQ® or Orange Julius® location. 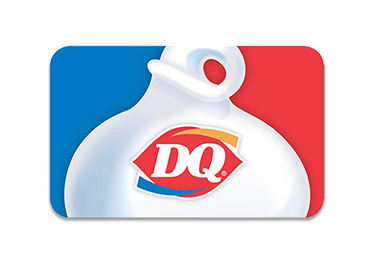 Gift Cards can be redeemed at any participating DQ® or Orange Julius® location.